This is the most unique phone of 2018. There is no other phone with such a design. It's attractive to the eye. Hydrogen One is a phone that we can't stop looking at. It has a nice 3D design and the technology used on this device is awesome. This is the most unique phone of 2018. There is no other phone with such a design. It's attractive to the eye. The back of this phone has two cameras. The edges on this phone are ridged thus improving its grip. On the right side of this phone there is shutter button and there is also a fingerprint scanner on the same side. It also works as a power button. You will find a TYPE USB-C charging port at the bottom. There is a headphone jack at the top. The fingerprint sensor responds quite fast. There is no delay in unlocking the phone. The front of this phone has a similar appearance to that of Razer phone 2. There are chunky bezels at the top and at the bottom. The phone is bulky thus maybe hard to reach the top part of the phone. Red Hydrogen weighs 263 grams. It's quite heavy for s smartphone. This phone can withstand several drops since the design quality is quite strong. This phone is made of aluminum and there is also a titanium model available. But it will cost you $1,595 to obtain it. Red Hydrogen will have three mods. There will be a Battery mod, a cinema mod and an expandable memory mod. The cinema mod is quite interesting. You will be able to attach lens from Nikon, Sony, Canon and Fujifilm. All these sounds incredible but the problem is that all these mods will be expected from the fall of 2019. I'm sure it will also be expensive. By then other manufacturers would have already released new awesome gadgets. Thus the Red Hydrogen will be at the losing side. Two features on this phone are really interesting. The cinema mod and the 4 view display are really exciting. This phone can display content in 3D. The effect of the 3D is that it's not that perfect. It kinda looks fuzzy and it doesn't look great at all angles. What can you do with the 4 view? You can record videos or take pice in 4 view using the camera app. Red Hydrogen have been in talks with instagram and facebook so that they could support the 4 View file format. There is an app called the Red Leia Loft which enables you to access apps and games that support 4 View technology. The app has minimal content. More content will be available later on. Red Hydrogen has their own netflix. Theirs is called Hydrogen Network with which you can watch movies with 3D effect on your phone. Soon Warner Brothers Studios will be releasing several videos in 4-view format. Movies like Ready player one and fantastic beasts have the 4 view file format. The viewing experience is quite impressive. Red Hydrogen has a 5.7 inch display screen with a picture resolution of just 2,560 x 1,440. The colors are sharp and vibrant. In broad daylight it look pretty awesome but it's not as good as the screen on iPhone XS or on Samsung Galaxy S9. Stereo speakers provide the sound on this phone. The sound quality on Razer phone 2 is better than that on Red Hydrogen. Red Hydrogen One comes with a Qualcomm snapdragon 835 chip. This chip is quite outdated. It is from 2017. Most phones from 2018 came with a snapdragon 845. This phone also comes with 6GB of RAM. The performance of this phone isn't exactly the best. It is good but it's not the best. Opening different apps on this phone is quite slow. There is lag when you are moving from one app to another. The speed on this phone won't always be 100%. At times this phone maybe slow or sluggish. From time to time the processor on this phone will struggle. Red Hydrogen One supports Android 8.1 Oreo. There is no word if there will be any updates. You can customize this phone according to your preferences. Red Hydrogen One has an internal storage of 128GB and there is also a microSD slot on this phone. You can always expand your memory. The titanium model of Red Hydrogen One has an internal storage of 256GB. 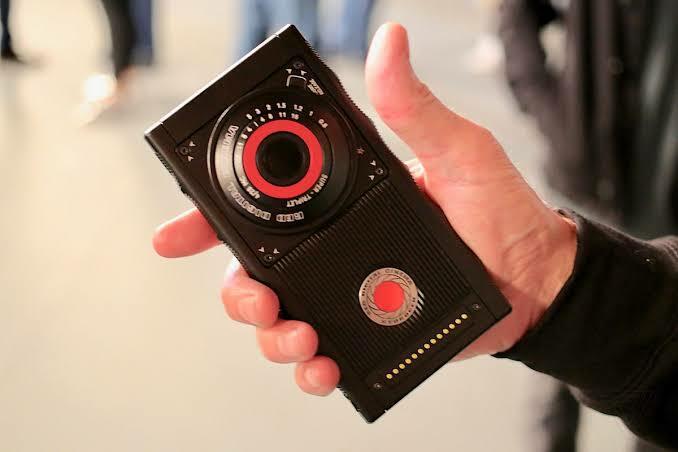 Red Hydrogen One has a total of 4 cameras. There are two at the front and there are two at the back. With both the front and back cameras you can take pics in 4 view. On the camera app there is a button that you can press so as to use the 4 view. Pics in 4 view can only be shareed to people who have a phone that supports 4 view. If you share the pics to someone who whose phone doesn't support 4 view then they will receive the pics in 2D. One problem that you will notice is that pics converted from 4 view don't always look as good when they get converted to 2D. This phone supports HDR and the photos taken in 2D aren't the best. Photos taken in low light tend to appear blurry and if you aren't still you will take awful pics. Images taken in Potrait mode looked washed out and lacked details. The front facing camera doesn't disappoint. It took awesome pics in Potrait mode. In low light there is nothing impressive to talk about. There is also a feature called the Pro Mode. The camera department on this phone isn't exactly the best. It is not as good as that on Huawei P20 or pixel 3. The best feature about this phone is in its battery. Red Hydrogen One has a 4,500mAh battery capacity. This battery can last up to Two days of use. Most phones last just a day of regular usage. This battery is quite huge and impressive. Red Hydrogen One is expensive to buy. It costs $1,295 for the aluminum model and it also costs 1'595 for the titanium model. It will be available in most retailers from November 2.